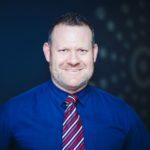 Appointed as a director of CTBS in 2008, Tim has over 15 years experience in the accounting and taxation industry. Tim a member of CPA with a public practice certificate. Has held vaious National and State positions with the Australian service organisation of Apex.